Style is such a personal thing. From the way we walk to the way we dress to the way we decorate our homes is a way to express our style and you can learn a lot about someone through their style. One other way to learn about some else’s style is to look at their vehicle. The vehicle someone drives says a lot about them, if you didn’t know. For example, if they drive a luxury vehicle, they probably either have a pretty steady income, and if someone drives a minivan they likely have two or more children they need to transport. The type of vehicle someone drives is also somewhat dependant on their everyday activities and, perhaps not surprisingly, one of the most common types of vehicles on the roads today is the sedan. Sedans are extremely versatile and often are large enough and well-equipped enough to handle most day-to-day activities. Here at Attrell Toyota, we have quite a few sedans in stock and in our showroom but we want to touch on the Avalon because we feel as though it doesn’t always get the attention it deserves. An easy way to show you how exciting and useful the Avalon is to day-to-day-drivers, we wanted to show you the Avalon next to another similar vehicle: the Lincoln MKZ. The 2015 Toyota Avalon vs 2015 Lincoln MKZ comparison shows us that those drivers who want an affordably priced, fuel efficient sedan that can haul fit a lot of stuff and comes with cool standard features such as navigation, remote keyless entry and heated, power mirrors. The Avalon is one of those vehicles that when you get it, you wonder how you’ve gotten this far without it. It is a full-size sedan that can fit up to five people comfortably and for the new model year comes with a more driver and passenger-centered interior that emphasizes comfort and technology. The 2015 Toyota Avalon in Brampton ON is available at Attrell Toyota standard with a 3.5L engine that makes 268 horsepower and has a 6-speed automatic transmission. The 2015 Avalon has a maximum towing capacity of 454 kg and has a maximum passenger volume of 3,027L versus the MKZ’s 2,421L. 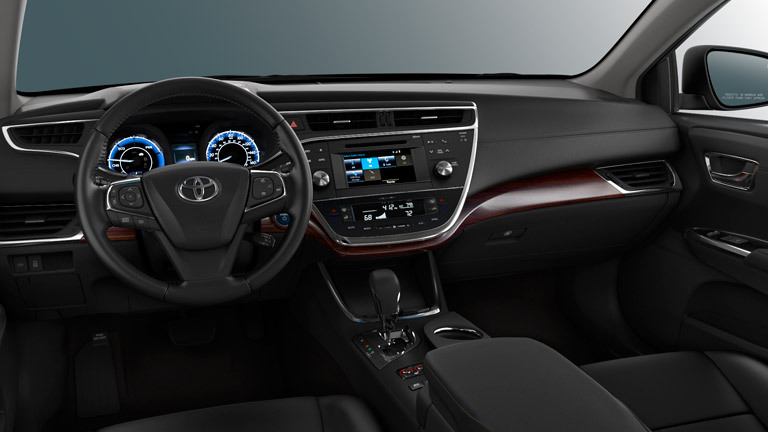 Front-wheel drive is a standard feature of the Avalon, as well as fog lights and a chrome grille. Other fun features include 9 speakers, dual-zone air conditioning, 3 12-volt power outlets, speed-sensitive volume and an in-dash, analog clock. 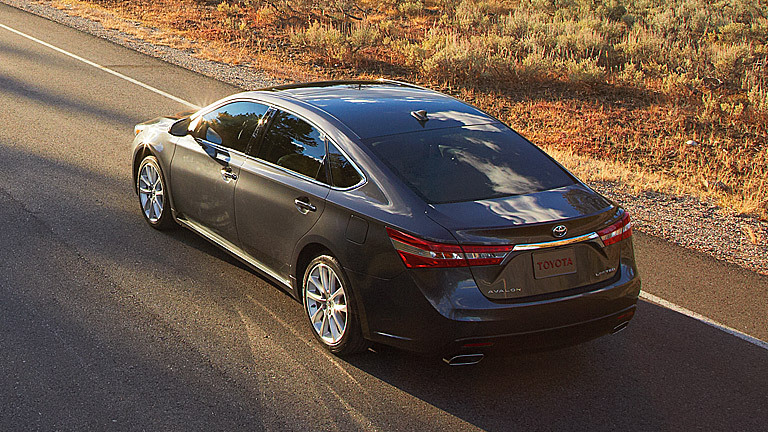 You can test out the 2015 Toyota Avalon today at Attrell Toyota, with no strings attached! Just give us a call or stop by any time! *Model shown is a Toyota AVALON LTD 6A, starting from MSRP of $40,280. MSRP does not include Freight & PDI of $1,620, Air Conditioning Charge of $100, license, insurance, registration, applicable taxes, levies and fees. Dealer may sell for less. Your local dealer may charge additional fees. **Fuel efficiency estimates were determined using approved Government of Canada/Transport Canada Test Methods. Actual fuel consumption will vary based on driving habits and other factors.